Dr. Jerry Vriend obtained his bachelor’s degree (Biology) from Calvin College in Grand Rapids, Michigan in 1969, an M.Sc. in Zoology from the University of Alberta in Edmonton in 1972, and a Ph.D. in Anatomy from the University of Texas Health Science Center at San Antonio, Texas in 1978. He did a Post-Doctoral Fellowship at the University of Rochester Health Science Center, in Rochester, New York. 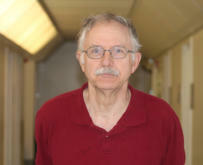 He joined the Department of Human Anatomy and Cell Science, University of Manitoba in 1981. He was promoted to Associate Professor in 1986 and to Professor in 1994. Dr. Vriend has conducted research on the role of melatonin in thyroid regulation in hamsters; he also has published data relating to Audiogenic seizures in mice. Dr. Vriend has taught anatomy since 1976. He has been actively involved in photography of cadaveric dissections for teaching purposes since 1999.